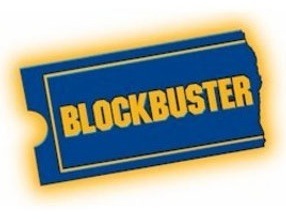 Like John Henry dying at his hammer, Blockbuster is just about ready to stop being a steel-driving man. According to the LA Times, the company could file for bankruptcy as soon as September in a move, while dire, doesn’t specifically mean the end of the company. They will probably only close about 500 underperforming stores and attempt to shore up their business with online streaming and rentals. However, it is patently obvious that the process of rending physical media only works in areas with little or no network connectivity which means they may soon be serving the dubiously lucrative Rural Post Road market. Should they hang in there? Should they go? Thoughts?